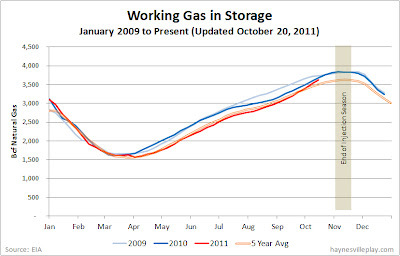 The EIA working gas in storage report showed another big jump with a net injection of 103 Bcf last week, bringing the total gas in storage to 3.624 Tcf. The weekly injection was 11% higher than last year (+93 Bcf) but 78% higher than the five year average (+58 Bcf). 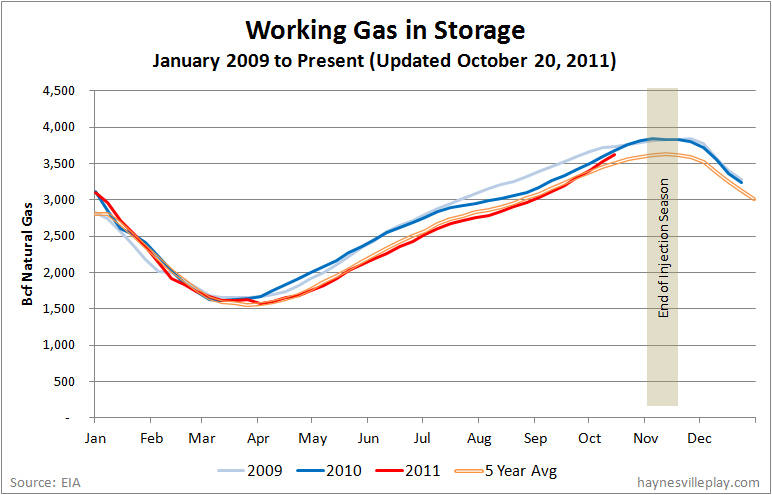 The current storage level is 1.3% below last year (3.67 Tcf) and 3.2% higher than the five year average (3.453 Tcf). Temperatures last week were pretty warm, averaging 63.1 degrees, which was 4.1 degrees warmer than normal and 0.7 degrees warmer than last year.